Size: approx. 7 mm. Photo: 06/10/12, 9 pm. This click beetle is Melanotus sp. The genus has 50 over species north of Mexico. 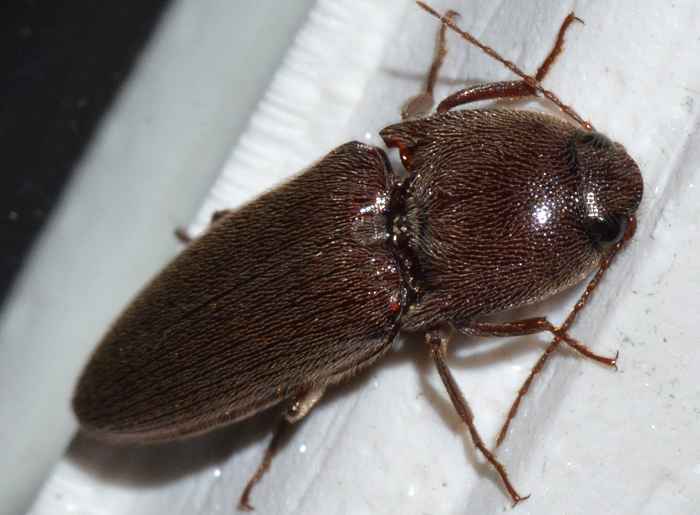 In contrast to most other beetles, click beetles have a rather flexible connection between the mesothorax and the prothorax. If placed on their back they can "click" and jump, which typically turns them right side up. 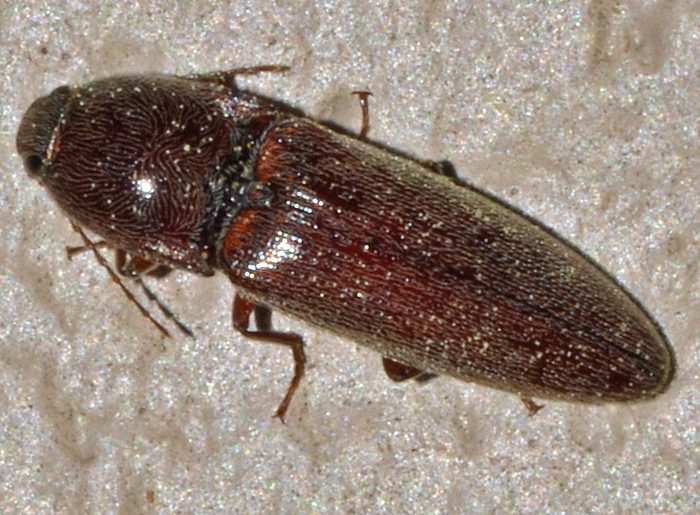 The body color of this click beetle species is reddish-brown. Its body is evenly covered with white hairs and 10.5-13 mm long. The pronotum is wider than long. One can usually distinguish this species from M. depressus because "they have the pronotal sides parallel and not distinctly divergent as in depressus".